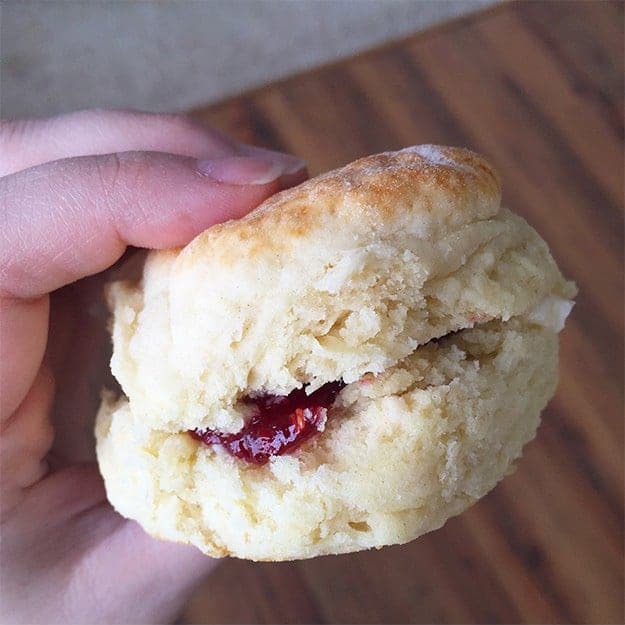 7 Up Biscuits - one of the easiest and fluffiest biscuit recipes ever! 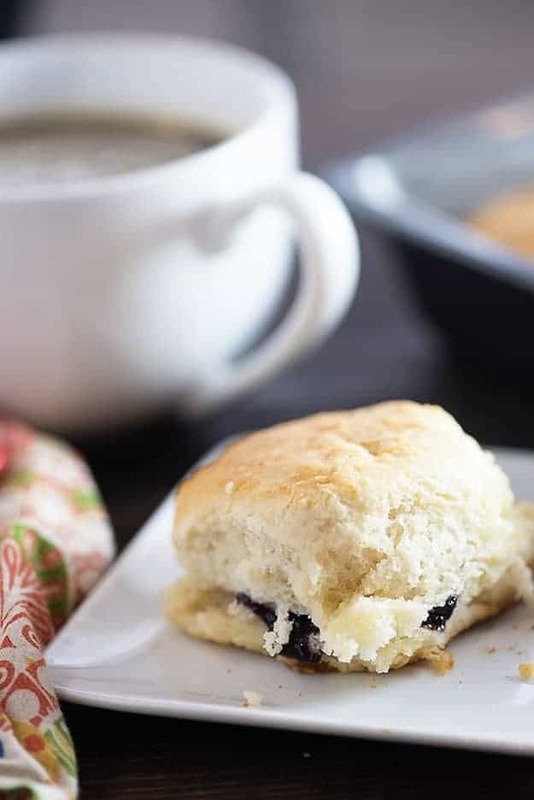 These 7 Up Biscuits are the easiest biscuits you’ll ever make and they turn out perfect every time! Alright, friends. I’ve done it now. I don’t know if you guys have heard of 7up biscuits before, but they are so very much better than they sound. Like, majorly better. In fact, I think these are basically a PERFECT copycat for the KFC biscuit recipe and y’all know that the colonel knows his biscuits. Buttery, fluffy biscuit love. So, as you know, my dad perfected homemade biscuits and I shared the recipe with you. Those biscuits are amazing. They’re certainly not hard to make, but they are definitely fussier than these guys. So, I vote that you make both and then let me know which you like best. I honestly can’t choose myself – I like the homemadeness of my Dad’s recipe better, but I love the ease of this recipe more. They just are both biscuit winners, in my book. 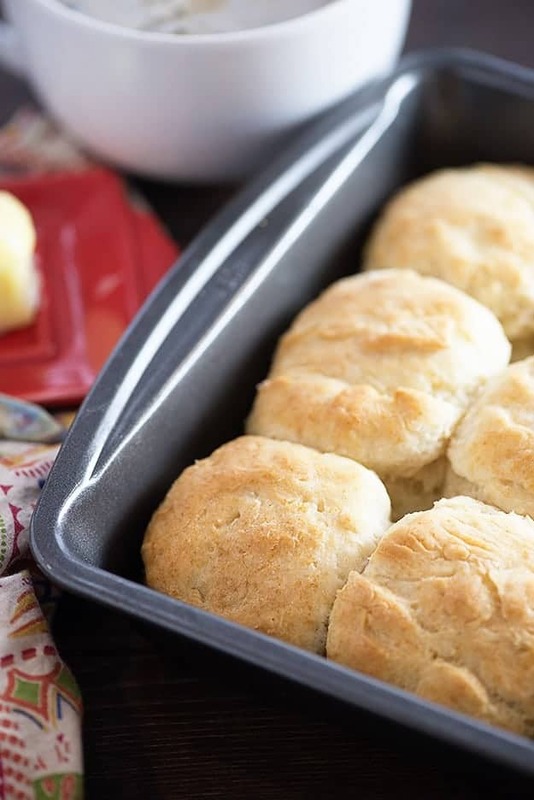 These 7up biscuits use just three ingredients for the dough! Bisquick baking mix, sour cream, and 7up soda! Sprite works too. You’ll mix these together real quick, pat ’em out on some extra Bisquick, and then cut your biscuits. At that point, the butter comes into play. You knew I wasn’t going to make biscuits without butter, right?! 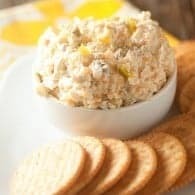 You just melt the butter and dump it into an 8×8 baking dish and plop the biscuits right into the pool of melted butter. Can I be a 7 Up biscuit in my next life, please? Just floating around in a pool of butter. I like mine slathered in lots of butter and raspberry jelly. They’re also perfect with sausage gravy or chocolate gravy! 7 Up Biscuits are a hit around here! Can I use self-rising flour or all-purpose flour instead of Bisquick? Nope, sorry. They’re not the same thing. I’d recommend trying this homemade Bisquick instead. Can I skip the butter? I haven’t tried it, but I don’t recommend it. Biscuits need fat. Can I use diet soda, Sprite, or ginger ale? I personally don’t like diet soda and haven’t tried it with that, but if the taste is okay by you, it should work fine here too. Sprite and ginger ale also work fine in place of the 7Up. Are these sweet? Nope, I don’t find them any sweeter than a traditional biscuit you’d eat for breakfast. My dough is very soft/sticky, where did I go wrong? This dough is supposed to be very soft, but you will probably need to add extra Bisquick while patting the dough out – just enough to get it to a point where you can work it. It shouldn’t be stiff at all – it should JUST hold together. This 7 Up biscuit recipe is a great one to keep around for busy mornings! 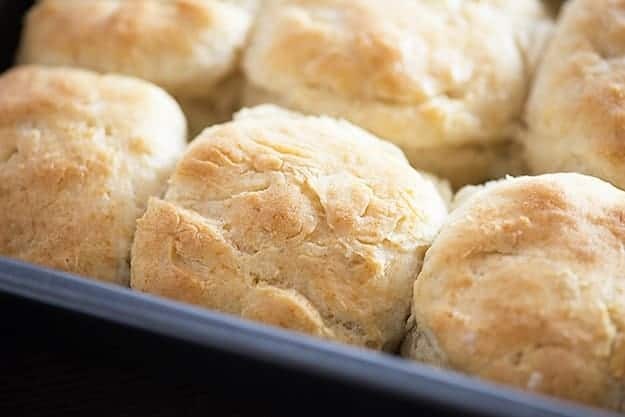 These biscuits only need 4 ingredients and are super quick and easy to whip up! In a medium sized bowl, stir together 2 cups of baking mix, soda, and sour cream until just combined. Sprinkle the counter top with 1/4 cup of baking mix and dump the dough out onto it. Sprinkle the remaining 1/4 cup baking mix on top of the dough as needed, using your hands to mix into the dough and pat the dough out to about 1/2 an inch thick. Add additional Bisquick as needed to form a very soft dough that is just holding together. Pour the melted butter into an 8x8 baking dish. Cut the biscuits out and place them in the pan of butter. Bake for 12-15 minutes or until golden brown and cooked through. This post was originally published in 2012. Photos updated 10/31/16. 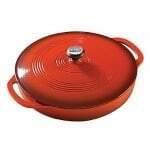 Lodge Enamel Casserole Dish Giveaway! Holiday Block Party & a $500 Gift Card Giveaway! These were great! I used Squirt instead of 7up. I also do this for my 7up Pound Cake. The Squirt is not as sugary sweet as 7up. The biscuits came out light and fluffy! Excellent biscuits! So easy,and flaky. Everything you want in a biscuit. Thank you so much for the recipe. What happens to these biscuits at 9000’ in the mtns? Thank you.. I don’t have any experience baking at high altitudes, so I can’t help. Hey thanks so much for sharing such wonderful and easy recipe litrely they are sooo easy and fluffy just made and the whole batch gone with no time? I want to use these for biscuits and gravy on mother’s day morning. Would it be ok to make them the night before? Hi Amy! 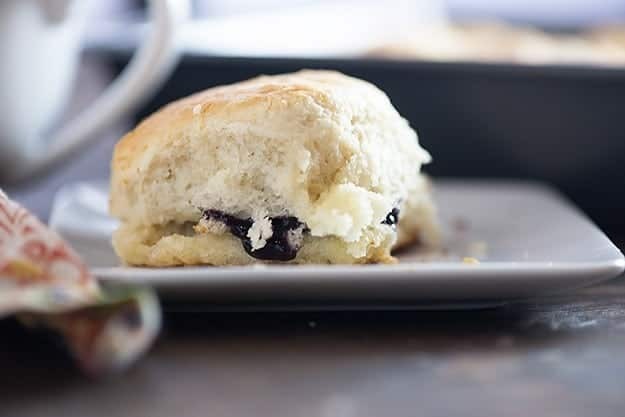 Mother’s Day has already passed, but I wanted to let you know for the future that, while you certainly can make them the night before, biscuits almost always taste best fresh out of the oven. If you do make ahead, keep tightly covered and refresh them in a hot oven before serving. Something went very wrong here. Followed the directions to a tee and ended up with an unusable sticky non compliant mess. Double checked that all steps were followed correctly and all ingredients included and measured accurately. Added more bisquick to no avail. Ended up trashing the entire effort before trying another recipe and leaving this comment. Hi Jeff! I’m sorry these didn’t work out for you. I would guess that if the dough was still very sticky that you needed more Bisquick still. I have made this recipe countless times and they always turn out lovely, though sometimes I do need more Bisquick than other times. As the recipe states, you have to keep adding it until you reach a soft dough. No worries. We tried a different recipe and struggled similarly. Wife and I made a version of these a while back and they were amazing. We will try again. Wondered on the shelf life of the bisquick. Thanks for the reply! I had the same problem as Jeff. I probable had 3 cups of Bisquik and just had a giant sticky mess and had to throw it away. No, they won’t rise if you mix the ingredients and don’t bake immediately. Okay. I had problems with this before, “…sticky unusable non compliant, yada yada…”. After the initial mixing, I kept adding bisquick (1 to 2 cups more) and these turned out amazing. Easy. Entire family loved em. Great for breakfast sandwiches, biscuits and gravy, or just with some jelly. Thanks! I didn’t have Sprite or 7up so I used Raspberry Seltzer ? I haven’t tried it myself, but other readers have said it works well. I Love these but I prefer Pioneer biscuit mix . We love these biscuits! Absolutely delicious. My only problem is if we want to use them for breakfast sandwiches they fall apart. Any suggestions on how I can change up the recipe, ideas etc to keep it together? Thanks! They’re such a soft/tender biscuit. Maybe try adding additional flour and see if that works? Alternately, these homemade biscuits are really good and hold up better. Made these today I never could make a good biscuit, but this recipe is easy and they are amazing. Thank you so nuch Kathy for this recipe . It is a keeper !!!! Hi! I realised I ran out of Bisquick but replaced with pancake mix & they turned out equally wonderful! Yes I agree the dough was a tad sticky but I just added more pancake mix gradually & all’s well! Thank u so much for sharing this recipe. It’s definitely a keeper! My wife makes these and they`re the best. Has anyone tried to convert these into dumplings? I saw this recipe and thought it would be much easier than my normal southern style buscuits. Mine didn’t rise at all! Look like hockey pucks only white. I don’t normally use bisquick & assumed it had all the ingredients needed to rise. Anyway…. not a foolproof recipe for sure. I’m another one that will be throwing mine in the trash. Toast today! I’m sorry to hear this didn’t work out for you. 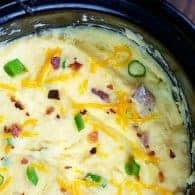 Bisquick does have the ingredients needed to rise and this recipe has worked for me every time I’ve tried it and has such good reviews. I wonder if your Bisquick was outdated or something else was going on. Did you follow the recipe exactly? 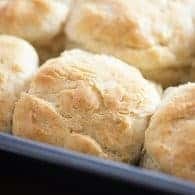 Made these tonight and they were a huge hit with my boys – I usually make the “tried and true” Bisquick biscuit, but decided to change it up because I happened to have a little 7-Up left from the weekend. I agree that it’s a more sticky biscuit dough, and I had to grab small handfuls from the bag as I was patting out the dough and pulling it apart (I tried to cut one, but it fell apart, so I just grabbed chunks, rolled them in a bit of Bisquick and dropped them in the pan). Will definitely be making them again! I just made these. I followed the recipe exactly as written except used gluten free bisquick. They taste great but did not rise. I could only fit 6 in the 8 x 8 pan. When the dough was rolled out and cut, it made 12. I cooked the first 6 and it was if they were frying in the butter. Butter was standing in the pan When the biscuits came out. The other 6 I sprinkled with cinnamon sugar befor baking. I only used about a tablespoon of butter. Still didn’t rise but not fried either. They taste very good. Thank you. You absolutely can use self rising flour instead of bisquick! I added 1 TBS of frozen chopped up butter per cup of flour and cut in with a pastry knife. Everything else was the same as recipe. I found that you need to generously flour your surface, the top of your dough and your hands in order to work the dough. They came out perfect! Thanks for the recipe! Biscuits are da bomb! The dough was a mess but I kinda loosely dropped them into butter in the pan instead adding much more bisquick. They were soft and flaky and absolutely delicious-definitely a must try and do it again and again and again! Which is best, cold or room temperature 7up? I only ever have room temperature so that’s all I’ve tried. Not sure if it makes a difference. You still have time to walk away. Seriously think about the decision you are about to make and the potential future commitment(s). These are stupidly easy . . . . super uber fast . . . . oh so fluffy . . . . and inexpensive to make. I’ve heard about these biscuits but never thought people were serious. I just didn’t believe. But, I’m here to tell you that I am a believer. They are that fluffy and yummy. I’m not a fan of KFC, so I was again skeptical. These are awesome. 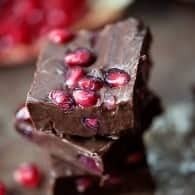 This recipe is going into my ‘little black book’ of handwritten recipes. The only thing I had was some diet Mountain Dew, I used this instead of 7UP, and they came out beautifully, and tasted delicious, would definitely make these again….. I was wondering can I use diet Mountain Dew??? Please let me know/. Thanks so much. I’ve never tried with Mountain Dew, but it should work fine with Diet 7Up.